“My surfmat guy…” That’s usually as far as I get before being interrupted. The interruptions are not always spoken. Often, they are blank looks. That’s not an intro most people have heard before. It turns out not everyone has a surfmat guy. Fortunately, I do. His name is Dale. He lives in coastal Oregon. He makes the most badass surfmats on the planet. That is an undisputed fact. Evidence: other people who make mats ride Dale’s mats. What makes one mat better than another? That’s a common follow up question. To be honest, I don’t know that I can answer that question accurately. I know the materials matter. I think the rocker – that’s right, Dale’s mats have rocker – matters. I believe the size relative to the rider matters. I can tell you the level of inflation matters. I know when I ride one that is dialed in, I can absolutely tell the difference. That matters. Surfmats are not for everyone. That’s ok. They’re frustrating, decidedly uncool and really hard to get wired. But that’s ok. Dale can only make so many mats. His is not a production process that can be mass replicated. They are hand constructed. Each Neumatic Surfmat receives custom laminations and even a “name”. They receive love, from both Dale and their owner. Considering he spends hours just building each custom mat, let alone planning each mat with the eventual owner, I am not sure he could handle much more. This post is probably not much use to anyone. If you ride mats, you know of Dale. (You should also be riding one of his mats.) If you don’t ride mats, you really don’t care. That’s ok. Surfmats are uncool. It’s better that way. If you didn’t know of Dale and you want a top caliber surfmat, check out Neumatic Surfmats. Spring seems to last forever in Santa Barbara. Most places in the world, that would probably be considered a good thing. The temperature is good, flowers are out, not too many bugs. But it Santa Barbara, the Spring has always been a bit painful for me. We get a lot of wind which puts a damper on surfing, paddling and boating. Our water is the coldest it gets all year. And it is long, often stretching from February until May or June . The world of paddling is small. While it has grown in the five or so years I have been involved, it remains tiny in comparison to surfing, or even, though I hate to admit it, Sweeping. 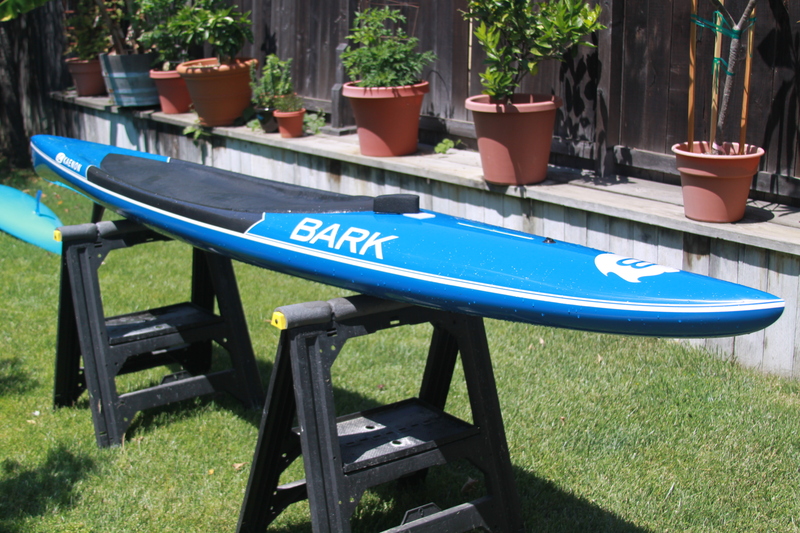 New board shapers have emerged but there is still only one name in California paddleboards: Joe Bark. I recently had the pleasure of getting a board from Joe. The man is on it – quick, personable and highly skilled. Having experienced the good and the bad of the surfboard industry, I truly appreciate a guy who not only has his board shaping skills dialed but can also run a business. Making the purchasing process smooth is great but if the product is inferior, it doesn’t matter. Joe has paddleboard construction down. Despite producing thousands over the years, they keep getting faster and better. Paddling a new Bark is quite an experience. They are solid upwind (always the painful part) and they surf downwind with amazing speed. Linking swells together is actually easy. Of course, as the boards get faster and higher performance, staying on them while riding swells is a whole other matter. Aside from the production of boards, Joe is the ultimate ambassador for the sport. He has finished Catalina something like 25 times. 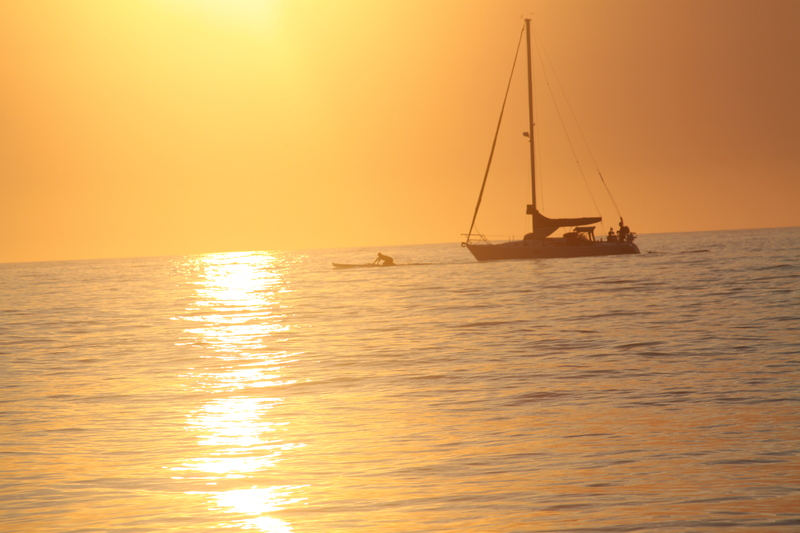 He organizes much of the Catalina race, cooks at the barbecue, then gets up at 5 am to paddle back to Manhattan Beach. At a recent race, he rolled in with his box truck full of boards and kids. He delivered new boards to people, picked up boards to be fixed, wrangled his kids who were also paddling, shook everyone’s hand, and made the salsa. Joe Bark is paddling in Southern California. In most industries, having one person dominate the way he does would be detrimental. Paddling is lucky to have him. 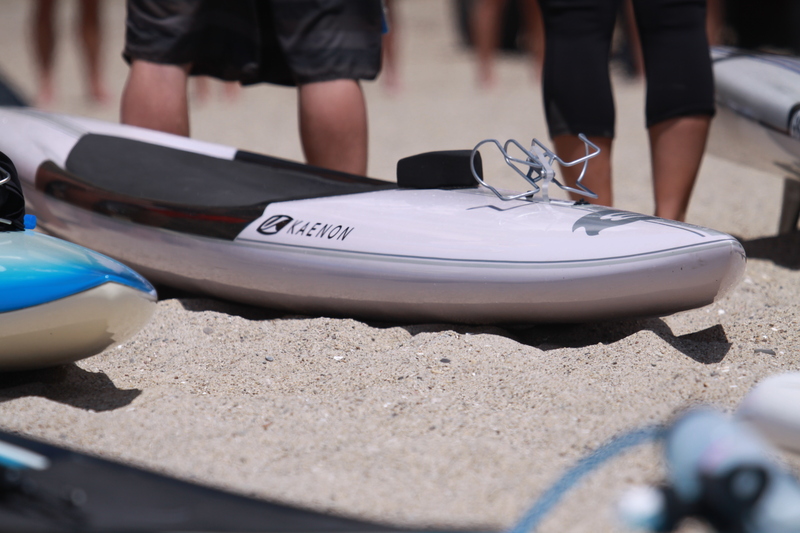 If you are looking for a world class paddleboard, there is no need to search. Get a Bark and save your time. You will own one eventually. Oh, and I have it on good authority from South Bay guys that Joe dominates on a surfboard too. So there’s that. Regardless of the location you pick, where there are surfers, there are regional influences. Skip Frye in San Diego, Dora at Malibu, Lopez on the North Shore. In areas with prolific histories, there are likely several. Santa Barbara is just such a town. While Rennie Yater and Tom Curren are common options from the area, George Greenough has had the deepest influence on my development. Without ever having met him in person, he has contributed to my boards, the fins in those boards, my surfmat, my boat, my swim fins, my favorite surf films – likely even my disdain for shoes. The people who shape my boards and create my favorite art cite him as early influences. If you are from the area and do anything related to the ocean, he has touched it. And all of this from a guy who has only been back a handful of times since he departed in search of empty waves on a boat he built in his backyard. With that we commence the Crystal Voyager blog. General subjects will cover the life aquatic on the south coast of Santa Barbara. 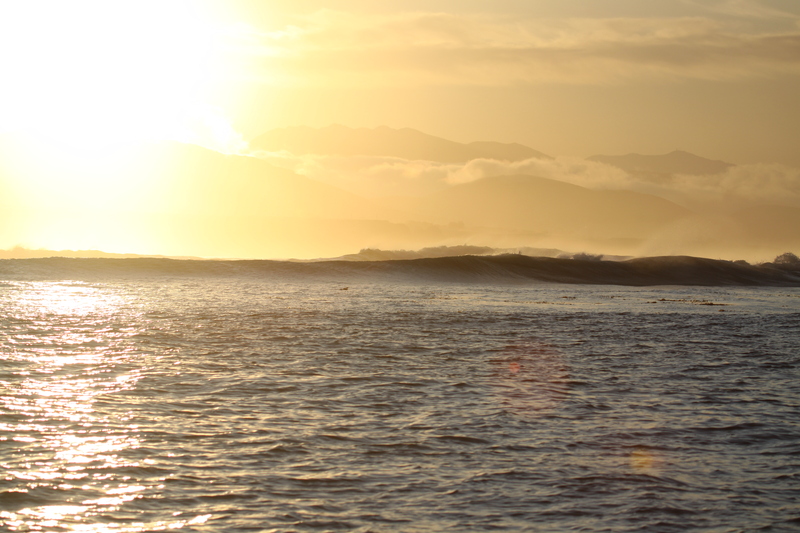 What does surfing mean to people in the area? Who knows. Perhaps we’ll find out.